One reason that it can be difficult to bridge across different fields is just learning the vocabulary and jargon of the field. 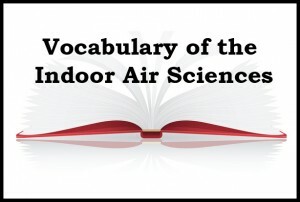 So happy to have found this: Vocabulary of the Indoor Air Sciences while browsing the web site for ISIAQ – the International Society of Indoor Air Quality and Climate. 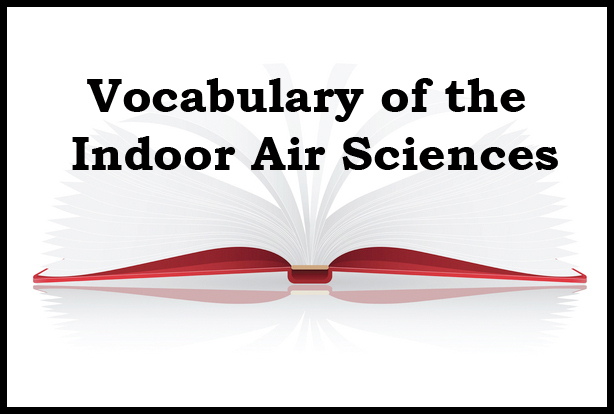 It even has 43 references for further information and source of definitions. Very very helpful. I am so glad you found it helpful. We work hard to try to make the ISIAQ web site a useful one, for members and non-members alike. If you have any suggestions for additional resources, please pass them along. The document is 15 years old or older, and has not been revised or reviewed, so those who consult it should be aware of this possible limitation. It would be great to have a vocabulary of microbial ecology to help bridge across the fields. I posted a link to a vocabulary of microbiology some time ago, but one specifically focused on microbial ecology and the commonly used terms related to sequence-based analysis would be very helpful. Is this the kind of thing that microBEnet can do? Yes, we can and should do this for microbial ecology. Also – do you think it wouldbe possible to get permission to use the material from the ISIAQ one and modify / update it and post on microBEnet? Long ago I implemented a no-copyright policy and practice, starting with the Proceedings from Indoor Air 2002, a conference of 1080+ participants of which I was the president. Nothing on the ISIAQ web site is copyright protected, although some Board of Directors members think we should protect the names of our two conference series — Indoor Air and Healthy Buildings. As Administrator of ISIAQ and as an interested party, I grant you permission to use it and hope you will attribute the original source whenever you post it or a link to it after you have modified it. As a member of the Sloan Fdn MoBE family, I hope you will have any changes reviewed by both ISIAQ and by some of the leading building scientists receiving Sloan funding. thanks Hal. Mostly I do not want to modify it but rather find a way to embed links to each term in documents and posts on microBEnet. And the best way to do that may require taking it from the posted PDF and re-posting it in another format.